FMGE 2020 exam will be conducted two times i.e., in June and December month. Foreign Medical Graduate Examination (FMGE) screening test will be conducted for the Indian national candidates those have a qualification degree from foreign university and wish to practice in India. 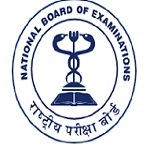 FMGE is a national level examination which is conducted by the National Board of Examinations (NBA). Candidates can read this article to know more details about FMGE 2020 exam, including exam dates, eligibility criteria, exam pattern, and etc. The application form will be started from the second week of October 2020 for December session & in the month of May for April session. Candidates are advised to fill all the details like personal details and academic details correctly in the application form. Candidates must upload the passport size photograph and signature in the application form. No correction facility will be provided to the candidates after submission of the application. Candidates can fill their application form till first week of November 2020. After the submission of application, candidates will have to submit some important photocopies of documents to the authority (NBE) by email. Candidates can submit their application fee through online mode via debit card, credit card and net banking. The application fee for FMGE will be 5500/-. Nationality: Candidates should be an Indian/Overseas citizen of India. Qualifying Exam: Candidates should have the primary medical qualification which will be approved by the Indian embassy concerned, to be recognized qualification from the medical practitioner in the country. Cutoff Date: Cut-off date for obtaining the Primary Medical Qualification must be on or before last week of November 2020. Candidates who are seeking provisional registration will not have to qualify the screening test they holds under graduation medical test from Canada/ new Zealand/ united kingdom/ united states of America will be recognized for enrolment as medical practitioner in the India. Documentary/proof evidence: It is compulsory to provide documentary evidence having passed final examination for primary medical qualifications on or before the cut-off date. Exam Mode: Exam will be conducted through online mode. Type of Questions: Questions will be multiple choice questions. Duration: 150 minutes will be given for each section. Total Questions: Total 300 questions will be asked in the exam. Negative Marking: There will be no negative marking for incorrect answer. Number of Attempts: There will be no limit to appear in the examination. Candidates must go through the exam pattern and must revise the syllabus perfectly. Make a proper time table for the study and follow it. Solve the mock tests to score good in the examination. Candidates must check the previous year question papers and note down the important topics. Take healthy meal and take care of your health. Question: How many times exam will be conducted this year? Answer: The FMGE 2020 exam will be conducted two times in one year i.e.in June and December. Question: From which date application will be available? Answer: The application form of FMGE 2020 will be available from second week of October 2020. Question: What will be the last date of filling application form? Answer: Last date of submission of online application of FMGE 2020 will be first week of November 2020. Question: Can I make correction in the application form after submission? Answer: No, correction facility will be provided only before the successful submission of the application. Question: I belong to from SC category, How much fees I should pay? Answer: The application fee of FMGE 2020 will be Rs. 5500/- for all category candidates. Question: In which mode exam will be conducted? Answer: The FMGE 2020 exam will be conducted in online mode. Question: How many time I can appear for the exam? Answer: There will be no limit for appear in the examination. Question: Is there negative marking in the exam? Answer: No, there will be no negative marking for the FMGE 2020 exam. The FMGE 2020 admit card will be available to the candidates those have successfully submitted their application form. Candidates will be able to get their admit card before 7 days of the examination. Candidates must check the details given on the admit card. Candidates will have to carry admit card to the exam hall on the day of examination. Candidates are required to paste a photo on the admit card. Candidates must bring id proof along with the admit card. Aspirants are advised to take a printout of the admit card for further procedure. Candidates will be able to check their FMGE 2020 result after few days of the examination. NBE authority will release result through online mode on the website. Candidates must check the details given on the result carefully. The candidates shall be declared as having passed only if they will obtain a minimum of 150 marks out of 300 in the examination. Candidates can check their results by entering login details. Candidates must take a printout of the result for further process. Result will include details like marks obtained by the candidates in exam etc. After the announcement of the result, FMGE 2020 cut off will be released by the exam conducting authority. Candidates must have score cut off marks for qualifying the exam. Cut off will be published in online mode. The criteria of cut off marks will be decided by the exam authority. Candidates have to obtain minimum cut off marks of 150 out of 300 marks in the examination. Candidates who will qualify the examination will be able to register to the secretary of medical council of India, New Delhi or any other state of India for FMGE 2020 provisional registration. Candidates must apply for the provisional or permanent registration. Candidates will have to pay requisite registration fees in favor of medical council of India. Candidates who will qualify cut off marks will be able to get 1 year internship. After the completion of internship candidates will be registered under the MCI. If you have any query regarding the FMGE 2020, you can ask us by leaving your comment below.